Abbotsham Picture Tour. 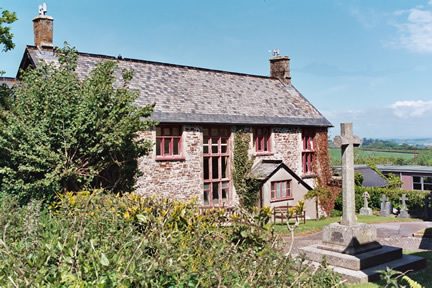 Photos of Abbotsham Village near Bideford North Devon. As you drive along the A39 Atlantic Highway watch out for the Big Sheep flag, turn off here then left for Abbotsham. The village itself might be small but it has always had a big community spirit. There is a pub, mobile fish and chip shop, village hall, chapel and church and a very popular post office stores conveniently located just opposite the new £1.6 million St. Helens Church of England School which was officially opened in 2004 by Bishop of Exeter, the Rt. Rev. Michael Langrish. There has been a school in Abbotsham since 1851 providing education for the children of the village. In 1957 Abbotsham School amalgamated with the neighbouring parish school of Alwington. The old school room next to the Church of St. Helens was built on the site of some old Alms Houses and up until 2004 when the new school opened, many children, including my own son, have benefited from the unique life experience gained and enduring friendships forged in this small rural village school. Parents were also very much involved in the numerous fun school activities and community fundraising events which took place on Butty Field or in the Village Hall. I remember halcyon times, Spring Fairs, Summer Fetes, Sports Days, Haloween, Bonfire Nights, Football Matches, Tug of War and Dad's Cricket, Christmas Fairs and School Plays. In addition the annual school summer outing was a sponsored walk to Abbotsham Cliffs. Harvest Festivals and Christmas Carol Services were held alternate years in Abbotsham or Alwington Church. Before the opening of the village hall in 1924 community events took place in the old school room and how apt that this historic building will be used for this purpose once again. The centre-piece to the village is the big old Oak tree with a circular seat. I wonder just how many mums and dads have rested awhile here in all weathers, chattering, waiting for the kids to appear at the school gates. According to records there has always been an oak tree on the village green and it was thought important to keep this tradition going. The original old oak tree which had thrived for centuries began to fail so in 1893 a sapling, provided by Mr. William Turner, was planted a few paces away. Eventually in 1913 the gnarled old tree was removed, leaving the one you see today. 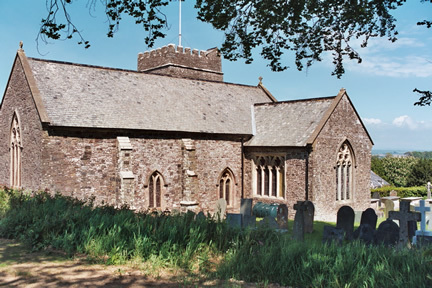 Abbotsham is also popular with holiday makers due to its proximity to Bideford Town, coastal villages such as Appledore, Clovelly, Hartland and the Blue Flag beach at Westward Ho! The local beach is a pleasant walk from the centre of the village and lies beneath the South West Coast Path which passes over Green Cliff, Cornborough and Abbotsham Cliffs. Abbotsham is a lively place most well known for the famous "Big Sheep" which has delighted visitors with its "ewe"nique form of family fun for over twenty years. From what started all "sheepishly" in 1988, the all weather attraction has grown into a major award winning enterprise regularly featured on National TV. There is now a restaurant, brewery and farm shop, Duck Trials, Horse Whispering, Sheep Sheering and a host of indoor and outdoor activities. 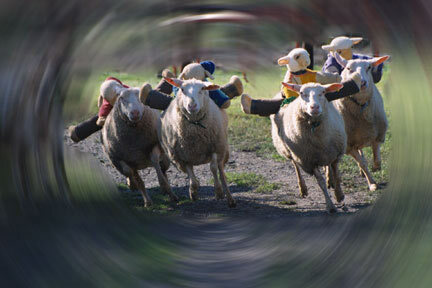 The main event is the hilarious Sheep Race starring Red Ram, Sheargar, Little Pullover, Golden Fleece, Alderknitty and Woolly Jumper. The six floppy knitted-jockeys bounce their way down the home straight to the finish line. Along the way they negotiate "Shepherd's Brook", "Bo Peep's Bend" and the "EWE Turn". On high ground overlooking the site of Kenwith Castle and the stunning Kenwith Valley is the Ultimate High Ropes Centre where mountain biking, boarding and more extreme fun is also available for all ages and abilities. The annual National 4X Bike Championship is held here. The Big Sheep host special events in Spring, Summer, Autumn and Winter so check their website for details. In 2002 The Kings Troop put on a great display here during their annual summer break in Bideford. They excercised their horses on the beach at Westward Ho!